With the approval of property tax waiver for houses measuring up to 500 sq ft in Mumbai, affordable housing in the city is likely to become appealing for both developers and the homebuyers. Not only will it drive demand in the affordable and compact housing segment across the city, but will also provide relief to the first-time homebuyers, especially those belonging to the penurious class. The decision of the State to entirely waive property tax on residential units sized up to 500 sq ft is believed to provide an impetus to the growth of the industry by escalating the velocity of sales and benefitting nearly 15 lakh houses across the city. As per the reports, about 64 percent of the residential units falling under the jurisdiction of the Brihanmumbai Municipal Corporation (BMC) are measured below 500 sq ft. Further, the decision of the government states that the units measuring between 501 sq ft and 700 sq ft will witness a 60 percent reduction in the property tax, which means that nearly two lakh houses are further eligible for a partial reduction in the overall tax rate. “The biggest challenge for the developers in the last few years has been to infuse demand back into the real estate market. The decision to waive property tax is a good move since it can positively affect property buying decisions. Not only this, the outflow for houses with a smaller configuration such as 1 BHK, 1.5 BHK or in some cases even 2 BHK is also likely to come down significantly. By allowing the existing homeowners to keep their expenses in check, the move will further ease the monthly burden for them, opines Arvind Nandan, Executive Director of Research, Knight Frank India. In a city like Mumbai, where property prices are extremely high, the homebuyers usually prefer 1 BHK apartments for rent as well as for outright purchase. Though the city has shown marked improvement in the rise of affordability among top eight cities since 2010, it still remains one of the most expensive markets across the nation. According to a survey, more than 50 percent of the population looking for housing in Mumbai, prefers 1 BHK over other configurations. Majority of these homebuyers fall under the age group of 25-30, who prefer small residential units owing to financial constraints and affordability of Equated Monthly Installments (EMI). With affordability being a prime factor for investments by millennials, property tax waiver, which has been made effective for all properties registered from January 1, 2019 onward, coupled with GST rate-cut from eight percent to one percent in case of affordable housing will definitely help revive demand in the segment. 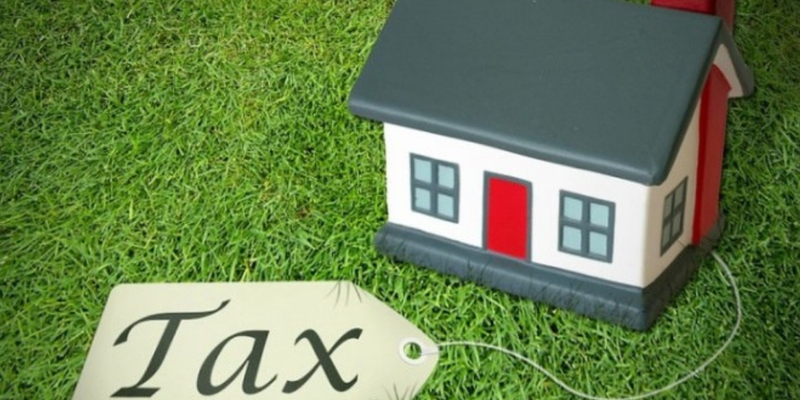 Property tax is one of the most prominent sources of revenue generation for BMC. It is believed that the corporation annually receives nearly Rs 5,000 crore by way of property tax, out of which a major portion is contributed by properties having a carpet area of less than 700 sq ft. Though waiver of the property tax is a welcoming move, embraced by one and all across the State, it is expected to reduce the projected earnings of the municipal corporation, especially when Octroi has already been subsumed under GST. However, differences in opinion suggest that the said impact would be nominal, especially post the change of property tax from rateable value to the capital value system in 2010. Inspired by a resolution of BMC in 2017 regarding waiver of property tax, the move also intends to benefit slum rehabilitation projects across the city, positively affecting the residents of chawls and the middle-income segment areas. Though the move has indeed brought a new lease of life to the housing sector, the overall impact of the same still seems to be a bone of contention.